This 4 hour workshop will include pranayama, yogic breathing techniques for calming, grounding and relieving anxiety; asana, with recommendations of the types of practice that feel good at the different points in the cycle; and deeply beneficial yoga nidra practices. You will discover yoga practices that are nourishing and inspiring, practices good for each stage in your cycle that you can continue to practice at home. With the knowledge you will gain, you will feel able to connect with yourself and trust your inner judgement. These teachings have the ability to let women open up and talk about their cycles in a way we don’t usually feel able to. 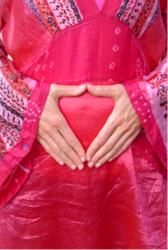 Any woman who wants practices to help deal with pain, manage PMT, and optimise fertility.